The phenomenon of dementia occurring in migrants and minority groups constitutes an emerging issue for Western countries. Nevertheless, it has been poorly explored from the perspective of “real-world” clinical services. We aimed to quantify the number of migrants from LMIC attending an Italian university memory clinic and to document its modifications over time. All the subjects undergoing a first neurological and cognitive assessment between 2001 and 2017 were considered for the present analyses. The proportion of subjects from LMIC performing a first cognitive evaluation was found to remain substantially stable between 2001 and 2017. No statistically significant difference was found between “HIC” and “LMIC” individuals with regard to sociodemographic and clinical characteristics. 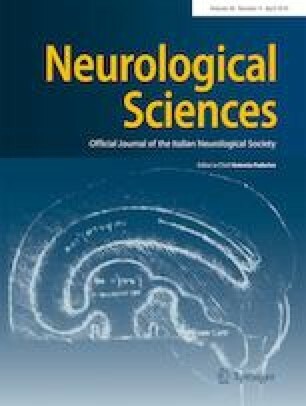 These findings seem to indicate that cognitive disorders in LMIC migrants still constitute a marginal public health issues for Italian dementia services. Nevertheless, the identification of eventual sociocultural and healthcare barriers may help to understand the real magnitude and relevance of this phenomenon. Marco Canevelli is supported by a research grant of the Italian Ministry of Health (GR-2016-02364975) for the project “Dementia in immigrants and ethnic minorities living in Italy: clinical-epidemiological aspects and public health perspectives” (ImmiDem). Matteo Cesari has received honoraria for presentations at scientific meetings and/or research funding from Nestlé and Pfizer. He is involved in the coordination of an Innovative Medicines Initiative-funded project (including partners from the European Federation Pharmaceutical Industries and Associates (Sanofi, Novartis, Servier, GSK, Lilly)). The other authors have no conflict of interest to disclose. The present study did not require formal ethical approval. Data used in the present analyses were exclusively, retrospectively retrieved from medical charts where information was recorded as part of the standard clinical routine. Participating subjects (or legal guardians when necessary) provided their written informed consent for allowing the utilization of the collected data for research purposes (as required by the ethical committee of the “Policlinico Umberto I” university hospital of Rome).